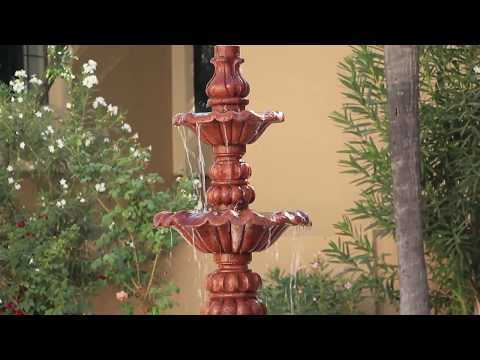 Why Choose Arizona Rehab Campus for Addiction Treatment? In keeping with our reputation as one of the top rehab centers in Arizona, our team of clinicians and therapists led by Dr Leonard Ditmanson, specialize in providing safe and effective addiction treatment services such as medical detox and inpatient residential rehab. We accept most insurances, including BCBS, United Healthcare, Cigna, Aetna, Multi Plan and AHCCCS. Regardless of your insurance situation, call and speak to one of our intake specialists for a free insurance evaluation. Providing a caring and compassionate treatment program for all walks of life in a luxury rehab setting, where peace and beauty help you celebrate again the joy of being sober. Our Arizona Recovery Campus is conveniently located in historic Tucson, Arizona. Here, vistas of the Arizona’s magnificent Sabino Canyon State Park encourage meditative appreciation of natures blessings and inspire outings to nearby parks where you can enjoy relaxing or energizing activities. While we may be the best rehab Tucson has to offer, our coverage area includes all of Arizona and we help people every day from most cities including Phoenix, Tucson, Peoria, Surprise, Scottsdale, Glendale, Chandler, Tempe, and Mesa. At ARC, the many inviting spaces and quiet places of our Arizona treatment center allow individuals to meditate alone or to gather in groups of two or more to share conversation or simply listen to learn. Unlike many rehabs in Arizona, the nurturing atmosphere here is restorative. It provides a peaceful environment within which acceptance is assured and each individual’s humanity is honored. America’s Rehab Campuses is leading the way in helping curb the substance abuse and addiction problems in Arizona. No matter what walk of life, America’s Rehab Campuses has a luxurious campus for individuals who are suffering from a substance abuse and addiction problem. Our Tucson Rehab process starts with a free insurance check. People entering treatment at America’s Rehab Campuses will experience a tailored, individualized substance abuse treatment program that will set them on the path towards a sober life. America’s Rehab Campuses: Arizona’s Substance Abuse and Addiction Solution America’s Rehab Campuses has worked for individuals with addiction problems and it can work for you. A recent campus alum says, “Don’t wait…ARC is the best recovery campus out there.” For substance abuse and addiction, ARC combines programs like medical detox, inpatient treatment, and intensive outpatient therapy (IOP) with counseling, meditation, and other wellness programs to help people get back on their feet. Conveniently located in Tucson, AZ, ARC serves all of Arizona. We see a lot of people from cities like Chandler, Gilbert, Mesa, Tempe, Peoria, Phoenix, Peoria, Scottsdale, and Surprise. One thing that sets America’s Rehab Campuses apart from other rehabilitation programs is our world class treatment programs that are tailored to the individual. Moreover, your experience with the best rehab Arizona can provide does not end when you leave campus. You will have a lifelong connection with the people that you meet at ARC and you will also leave with skills that will help you succeed in your new sober life. ARC’s Arizona Rehab Campus is located in Tucson, AZ. Our Arizona rehab center provides vistas of Sabino Canyon State Park. While on our campus, if you are enrolled in one of our programs, you can meditatively enjoy nature’s blessings while in recovery. Our treatment programs start with a free insurance check and most insurances are accepted. Give us a call at (833) 272-7342 to speak with a specialist. Our program not only sets you on a path to recovery, but lets you enjoy life thereafter. Treatment Programs at America’s Rehab Campuses At ARC, you will be able to benefit from safe, secure detox and counseling areas, semi-private dorm rooms, recreational facilities, and more. You can also enjoy outdoor dining, wellness-exercise, and meditation. Our core rehab treatment programs include medical detox, residential treatment, and a high-quality outpatient program. One of the things that sets ARC apart is that we also help you after you leave our campus. Our programs include career building and skill learning to help you have a successful life. The ARC Rehab Treatment Process At America’s Rehab Campuses, we have three core goals for our patients. We strive to help our patients manage their addiction (including exploring the emotional pain that caused the addiction), discover and use tools for healthy communication and relapse prevention, and to help start you on the path to recovery. America’s Rehab Campuses is a leader when it comes to providing world-class treatment and inpatient drug rehab for patients in Arizona and the surrounding areas. Our team of caring professionals will help treat your addiction at our reveled facilities. We treat over 30 types of addiction and provide you with a caring community that supports you even after you leave our campus. Benefits of Inpatient Drug Rehab at America’s Rehab Campuses At America’s Rehab Campuses, the main benefit of our inpatient drug rehab program is ready access to a therapeutic and caring community. You will be immersed in an environment dedicated to breaking the addiction and helping you succeed once you leave our campus and start your sober life. We do not have a set time for release—in fact, we tailor a program based to your individualized needs. Our beautiful campus is located in Tucson, AZ, which is located to some beautiful landmarks. Our campus is not too far away from Saguaro National Park. Other popular destinations nearby include Tohono Chul Park and several museums. We are also not too far away from Old Tucson Studios. In addition, there are several cultural amenities located in this great city. Drug Rehab at America’s Rehab Campus’s Arizona Location Our Arizona location is based out of Tucson. Depending upon what is recommended during your intake consultation, your treatment regimen might start with medical detox. Medical detox includes one-on-one interaction with our physicians and staff. Detox helps address the pain and severity of alcohol or drug withdrawal. Once you have completed detox, your treatment program could include inpatient treatment, our IOP program, and counseling to help you deal with the addiction and the pain that caused it. Substance abuse education is one of the core tenets of our drug rehab program. You will learn how certain substances impact your family, social, and personal relationships. Group and individual counseling sessions may be part of your drug rehab program. America’s Rehab Campuses, based out of Tucson, AZ, offers several different programs for our clients. Outpatient rehab can be scheduled during various times throughout the week, allowing clients to continue with their work responsibilities and life at home. They can check into the campus regularly throughout the week for counseling and medication. In our outpatient rehab programs, the general focus is on counseling, education, and our network of community support. Outpatient Rehab – Is It the Right Option for Me? People who succeed in America’s Rehab Campuses outpatient rehab programs typically have a committed, disciplined approach to their treatment. Additionally, they have a strong drive to succeed in overcoming their addiction. One of the hallmarks of our outpatient rehab program is our extensive community—our staff, medical professionals, and other alumni/residents who play a critical role in recovery process. Intensive Outpatient Therapy for Arizona Residents Our intensive outpatient therapy program helps clients set clear, definable milestones in overcoming their addiction. The process often includes multiple meetings for a few hours each week. As clients meet their milestones, the time commitment typically decreases. In addition to some of the counseling and 12-step programs that you might participate in, you also get life skills and meaningful interaction with counselors and staff as you progress through the program. Our IOP program is a 12-week program, meeting 3 days per week. Meetings typically last three hours. At America’s Rehab Campuses, we understand the unpleasant nature of withdrawal symptoms. Withdrawal often includes symptoms like headaches, nausea, insomnia, and depression. In certain situations, withdrawal symptoms necessitate the presence of a doctor to help you get the medication you need. At America’s Rehab Campuses, we provide luxurious medical detox to help you deal with your withdrawal symptoms in a caring and comfortable environment. Going Through Medical Detox at Arizona’s Best Treatment Facility At America’s Rehab Campuses, we offer luxurious detox for people from all walks of life. Many people try to quit substances on their own and are often overwhelmed with the symptoms that they have to deal with. At America’s Rehab Campuses, our team of doctors, nurses, and other caring professionals will help you deal with these symptoms. Some of the substances that require medical detox include alcohol, opioids, benzos, and bath salts. We accept most forms of insurance, including AHCCCS for Arizona residents. The most important component of your detox treatment at ARC is the people that will help you overcome your addiction, including doctors, nurses, counselors, and other residents at the facility. Some patients do not require intensive medical detox. Our sub-acute detoxification program gets you the medication, monitoring, and support that you need, but without intensive medical interventions.